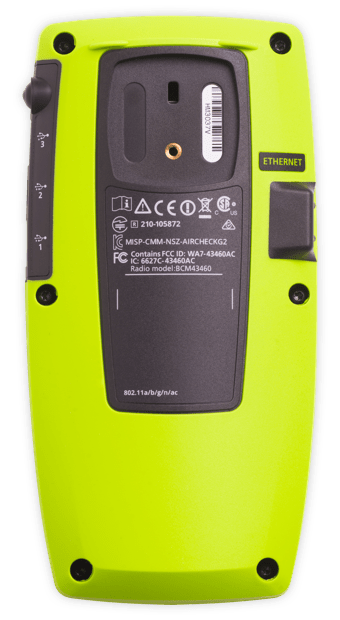 A powerful handheld tool designed to enable frontline IT to quickly identify Wi-Fi problems which helps to reduce costly escalations. 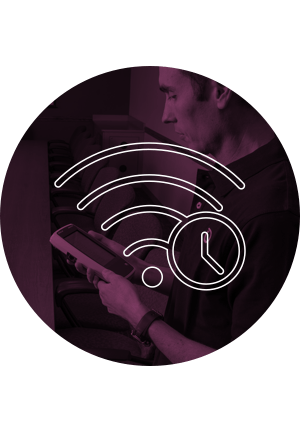 When end-users are having trouble connecting to, or staying connected to Wi-Fi it can be difficult to understand the root of the problem. The AirCheck G2 simplifies troubleshooting by offering AutoTest. 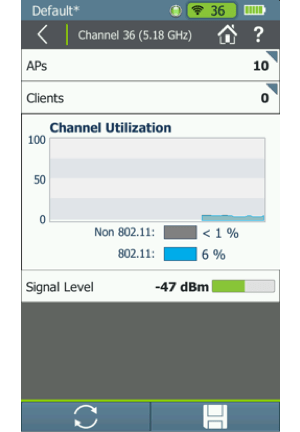 Simply touch AutoTest to determine where to start troubleshooting Wi-Fi connectivity complaints. 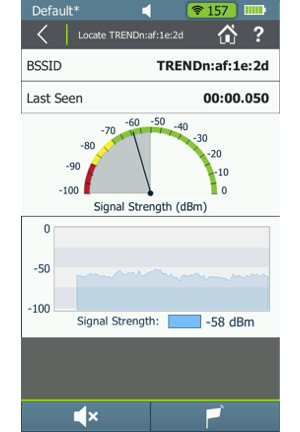 Selecting AutoTest from the home screen helps to quickly identify issues that could be causing Wi-Fi connection problems. Green = pass, no problems. Yellow = pass with potential problems. Red = fail. There are problems. Selecting the “^” allows you to drill down into any test for more details about that test. 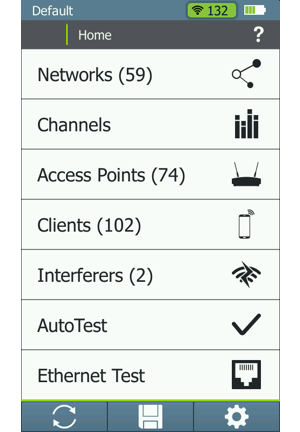 Selecting the Settings icon from the Home screen allows you to automatically connect to that network during each AutoTest. This is helpful for the Wi-Fi networks you test on a regular basis. 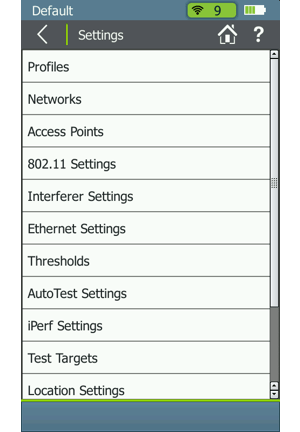 Once you are in the Settings menu, select the “AutoTest Settings” to set up your network. 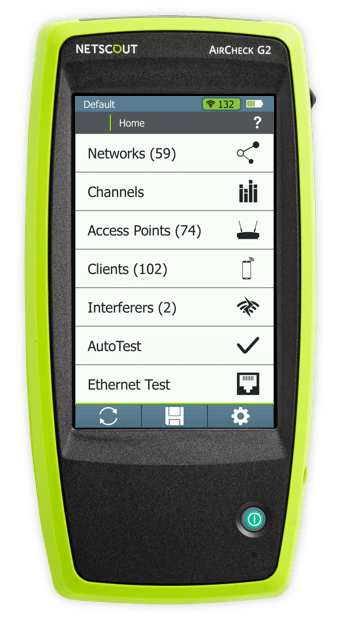 After you have set up the connection to your network, turn on Network Tests and select the network(s) you’d like to automatically test with each AutoTest you run. 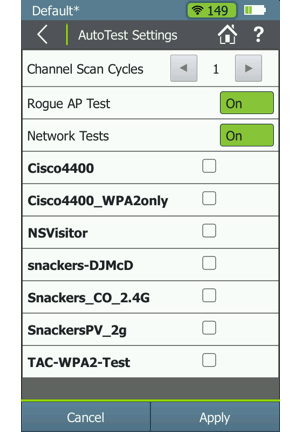 Return to the Home screen and re-run an AutoTest to see how your selected networks are running, quickly and easily. Is the Wi-Fi slow? 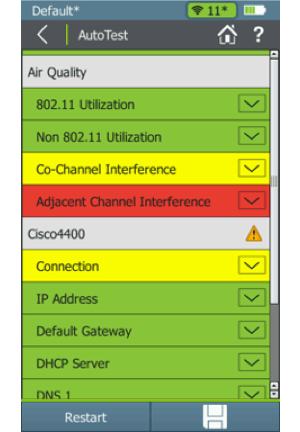 One of the problems can be co-channel interference created by having too many access points on a channel. 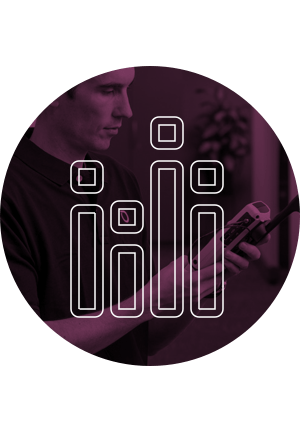 AirCheck G2 makes this task easy to find the problem and resolve it. 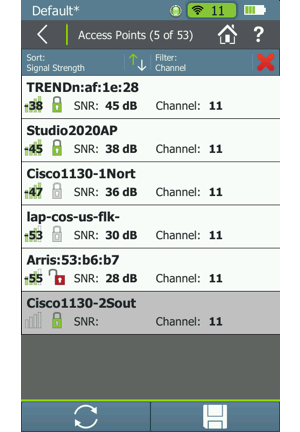 Selecting “Networks” from the home screen will allow you to drill into a specific Wi-Fi network and look for sources that could cause it to run slow. This shows all the networks seen at the current location. Select your network. 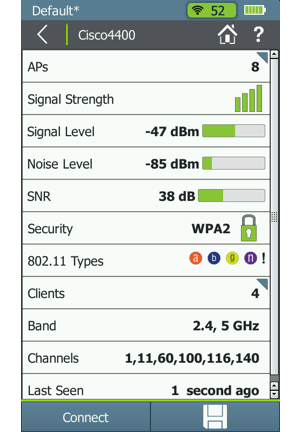 Once you have selected your network, select “APs” to determine how many access points are utilizing the network in question. 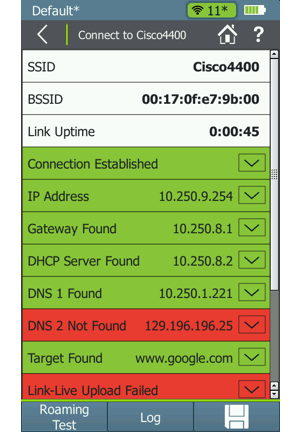 This shows the APs found on your network. 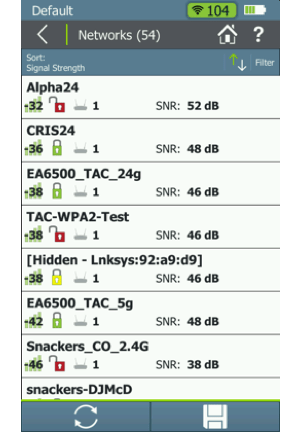 By default they are sorted by signal strength. Select the first AP which is the strongest one. 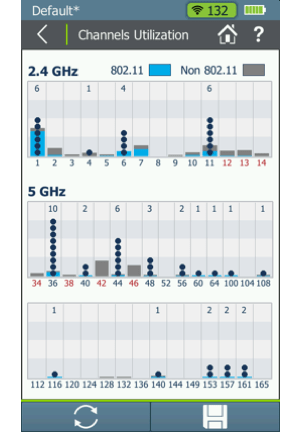 This verifies connectivity to the AP, to run a performance test, select iPerf Test. 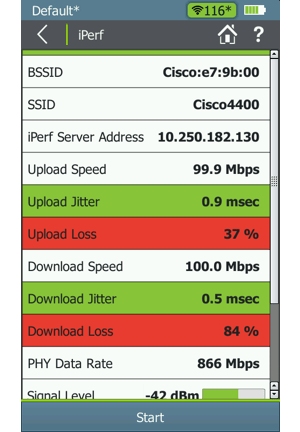 After selecting your iPerf server, view the test results to verify performance is as expected. If the performance is as expected, there may be an issue with the end user’s deice. If the performance is lower than anticipated, return to the AP details screen. 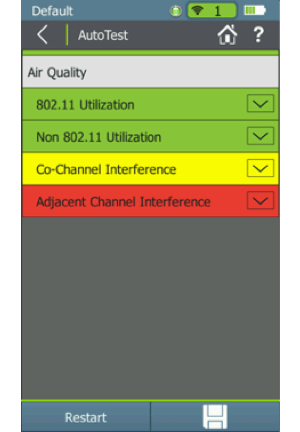 Select Channels to determine how many APs are operating on the same channel. This shows details for the channel selected. 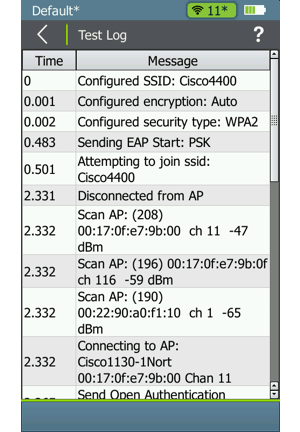 More than 2 or 3 APs on the same channel could be a problem. Select “APs” to get a detailed view of the APs on this channel. This shows the APs operating on the channel. Possible mitigations: Re-assign channels on some APs, locate unauthorized APs and remove them. 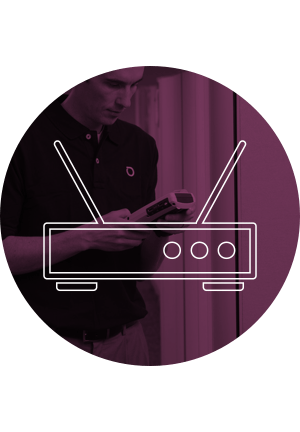 Use the AirCheck G2 to detect and locate unauthorized devices connected to your network. 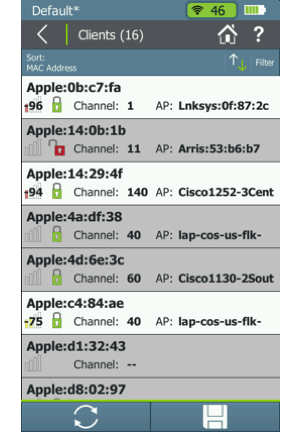 Select “Access Points” from the Home Screen to determine the total number of APs that are discoverable at your location. Select a suspected rogue AP. 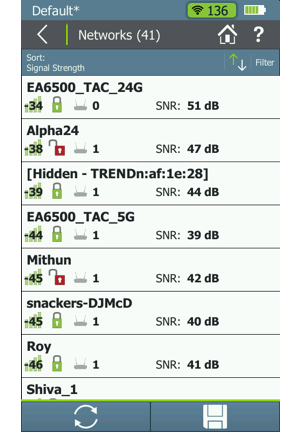 Selecting the “Locate” soft key will allow you to physically walk around and find the suspected rogue AP by signal strength. 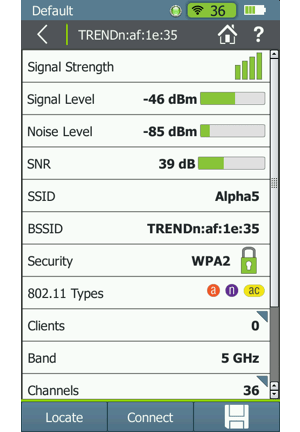 This shows the real-time signal level for the access point. 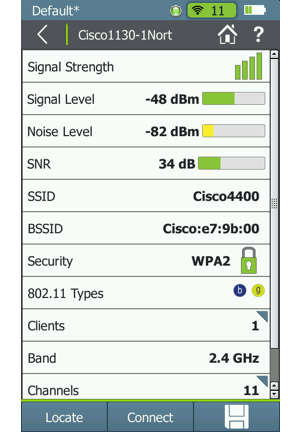 Walk the premise toward increasing signal levels to locate the AP and turn it off. You can turn on/off the audio beeps that get faster as you get closer to the AP by selecting the sound icon in the lower left hand corner of the screen. Are there too many devices communicating on a channel causing intermittent problems? 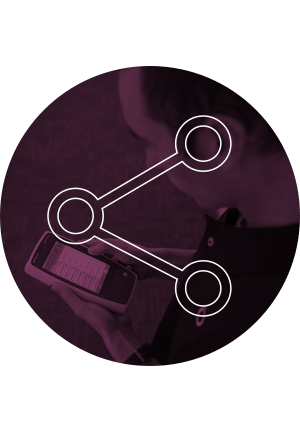 Over utilized channel from clients or access points can be the problem. No body likes to be crowded, here is how AirCheck G2 can help you isolate this problem. Selecting “Channels” from the home screen will show you how many APs are on each channel. This shows all the channels. 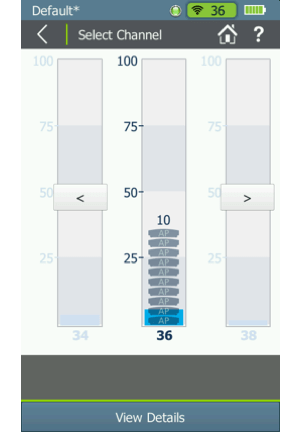 The blue and grey bars show utilization of the channel. Select a channel on your network that is highly utilized. The zoomed in view shows the selected channel. Touch the channel, or select “View Details”. This shows details for the selected channel including utilization, number of APs & Clients on the channel. 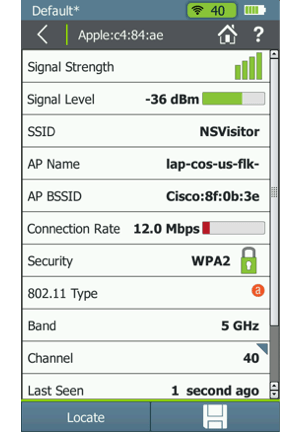 If 802.11 utilization is > 25%, and APs >2, you have a problem and should look at the details of your access points by selecting “APs”. 1. Re-assign channels on some APs. 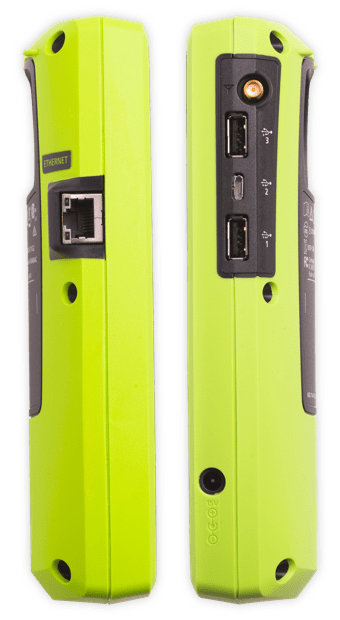 Use the AirCheck G2 to troubleshoot the network and help determine whether the problem is a result of a misconfiguration in the network. Start by selecting Networks from the home screen. This shows all the networks seen at your current location. Select the network in question to determine if there is a misconfiguration. This shows the details of your network. Select the “Connect” button. 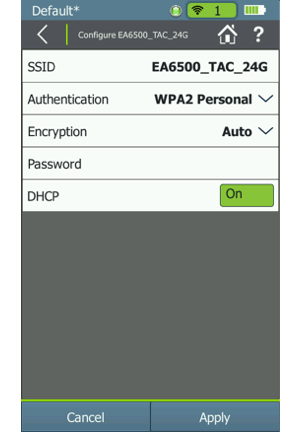 Select the authentication type for your network. Select “Password” to enter a password. Other fields may appear depending on the authentication type. When configuration is done, select “Apply”. Once this is entered, you will not need to enter it again. This shows the connection test status and results. 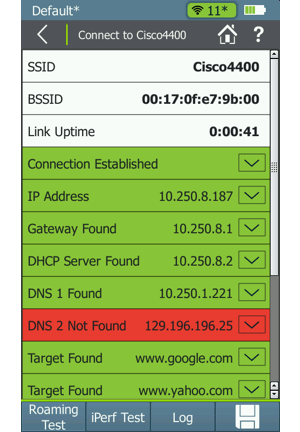 If the connection passes, showing all green, see if the client is configured properly. If the connection does not pass, select “Log” from the connection test screen to view the event log. This shows connection event steps that may indicate why the connection failed. If connection does pass, select “Clients” from the Home Screen. Use the sort or filter to easily select the user’s client. Select it to see the client details. 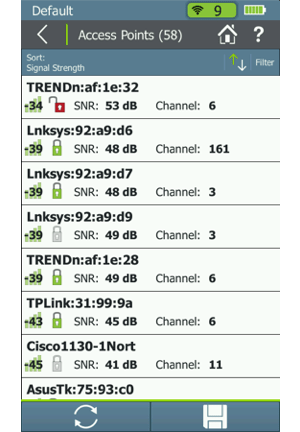 Scroll down to see if it probes on the correct SSID and channel. You should check the user’s device to also ensure the correct configuration. Tap the question mark icon to get help on any screen or during any test. Restart your test to gather new data. 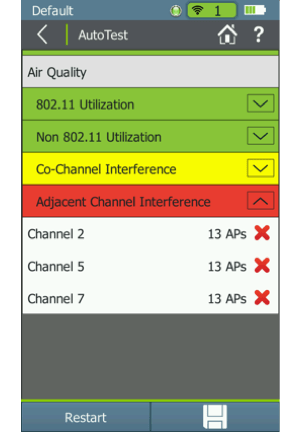 Save the test data to your AirCheck G2. Use AirCheck Manager Software to pull saved test results onto your computer. Settings will allow you to configure your AirCheck. Connect an external directional antenna. Use the USB Micro port to connect to a PC. Plug in the AirCheck G2 to charge the internal battery. Attachment area for clip to hold external antenna. Keep your product safe with the locking port.